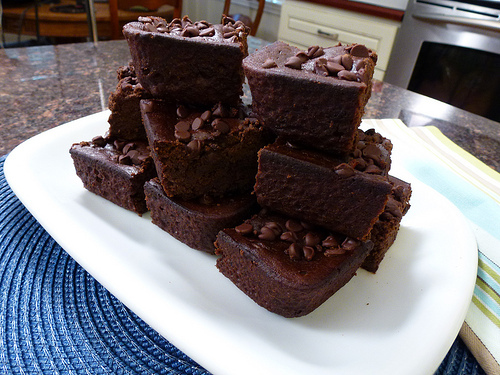 I had a few questions about the black bean brownies that I made yesterday so here is the recipe. I wanted to try them out because it’s a great way to add fiber, protein, and antioxidants to your brownies and anyone that knows me knows I have a weakness for brownies! Oh these don’t look too bad. Here we go. First, I put the can of black beans in the food processor to make them smooth. 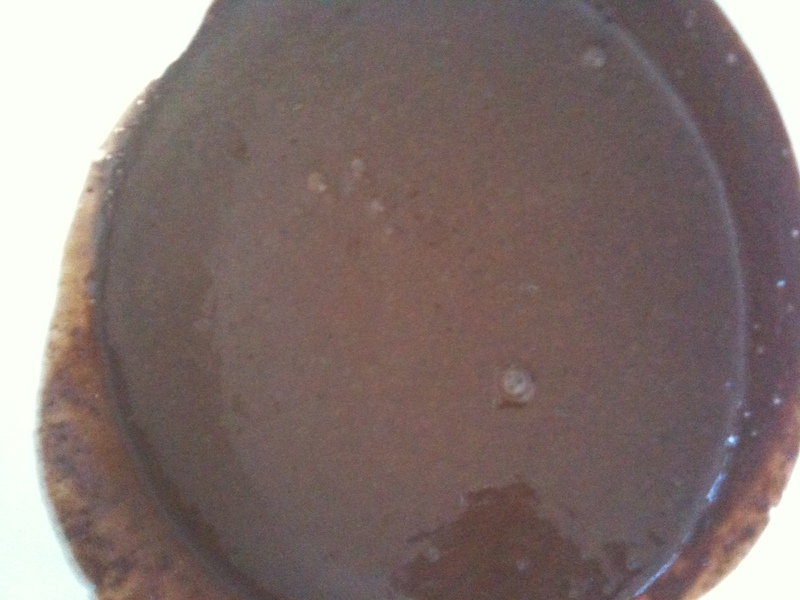 Next, I blended all the other ingredients together and then it was time for chocolate chips and to put it in the oven! It looks like regular brownies to me..
After 35 minutes of baking they were ready to cool and taste! I added some walnuts on top just to experiment. They came out fudgy like the recipe said, and fell apart pretty easy too. I think that may have to do with the fact that they were not completely cooled before I cut them or maybe the lack of oil. 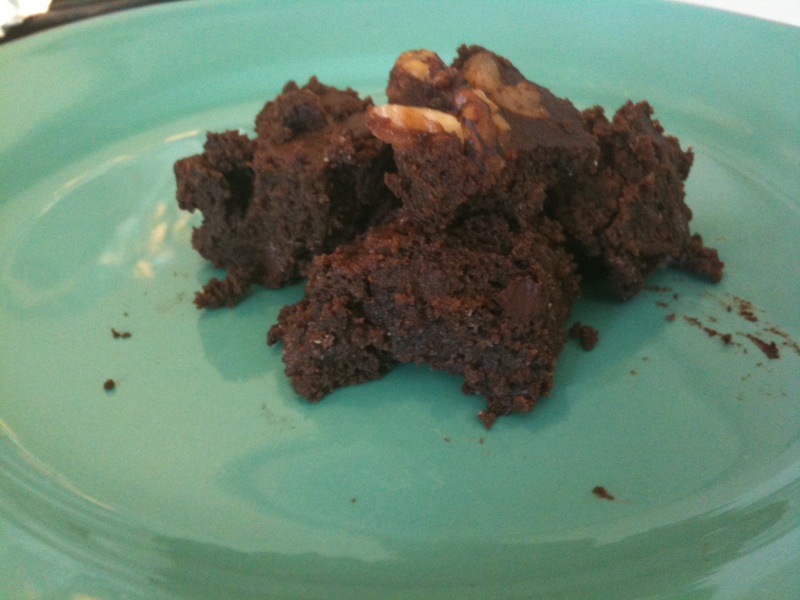 I found this recipe by Googling “black bean brownies” and several blogs raved about how delicious it was. I didn’t have enough chocolate chips (probably less than a half cup) and the bites without them were a little hard to swallow. I would say it’s definitely key to make sure the chocolate chips are incorporated in the batter very well. The consistency of the brownies are definitely fudgy; I was satisfied after only a couple of bites. 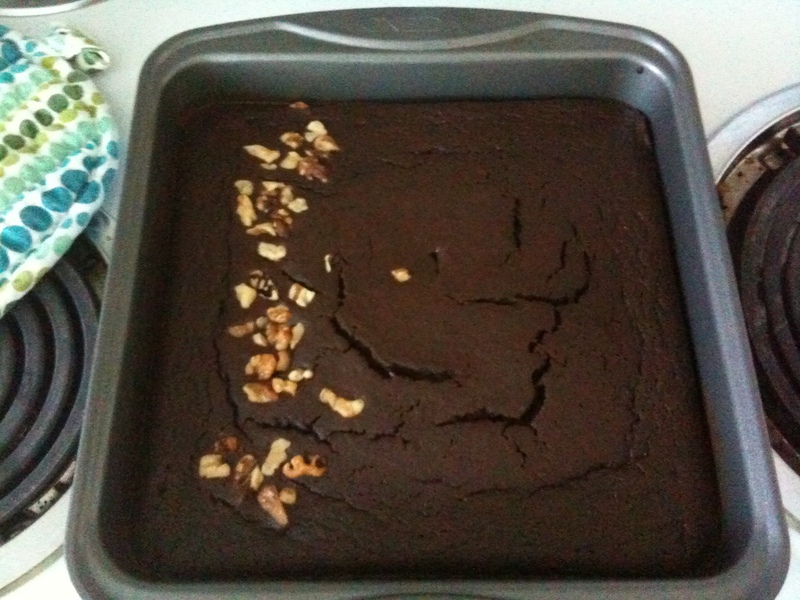 I also put chopped walnuts on one row of the brownies and that helped masked the black bean taste too. If you try it out let me know! I think my next batch may have some flour but definitely more chocolate chips in it! Preheat oven to 350˚F. Grease an 8-x 8-inch baking pan; set aside. 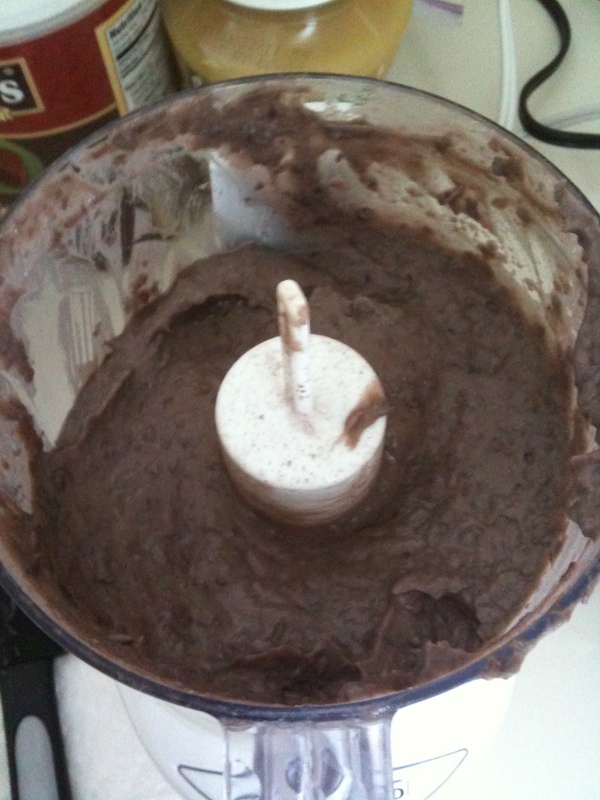 Process the black beans in the bowl of a food processor until smooth. Add the rest of the ingredients, minus the chocolate chips and process again until smooth. Mix in 1/2 cup of the chocolate chips and pulse a few times just until the chips are incorporated. Pour the batter into the prepared pan and smooth with a rubber spatula or wooden spoon. Sprinkle with the remaining 1/2 cup chocolate chips. Bake for 30 to 35 minutes, or until the edges start to pull away from the sides and it passes the toothpick test. Cool completely in the pan, then slice into squares.